To keep with the light and radiant look I like to use liquid or cream cheek products in the spring/summer. If you remember in my last Sephora Haul, I got my hands on the "Cheek Me Out" kit by Benefit. Posie Tint is such a perfect color for the upcoming months and in combination with High Beam it's just gives you a great fresh and glowy complexion! 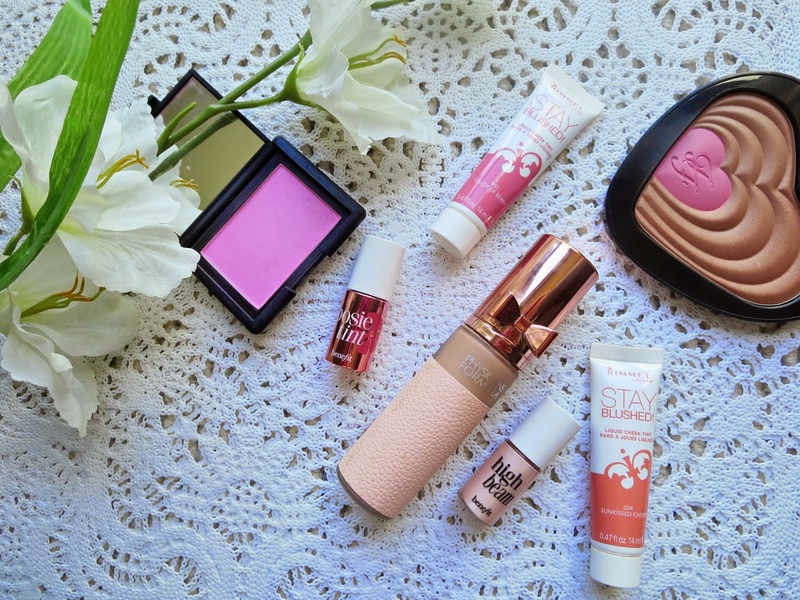 If you didn't already know, I have a pretty serious love affair with the Rimmel Stay Blushed! Liquid Cheek Tints. Sunkissed Cherry & Touch of Berry have been a staple in spring/summer beauty routine of last year and I intend on keeping that up this year! If you're not a fan of liquid/cream products, I've also been reaching for my Too Faced Soul Mates in Ross & Rachel. It looks really summery but in reality it's so subtle and really gives a nice and natural glow. It's a great transition product for this time of year, a little bronze, a little color, but in a really pretty and subdued way! 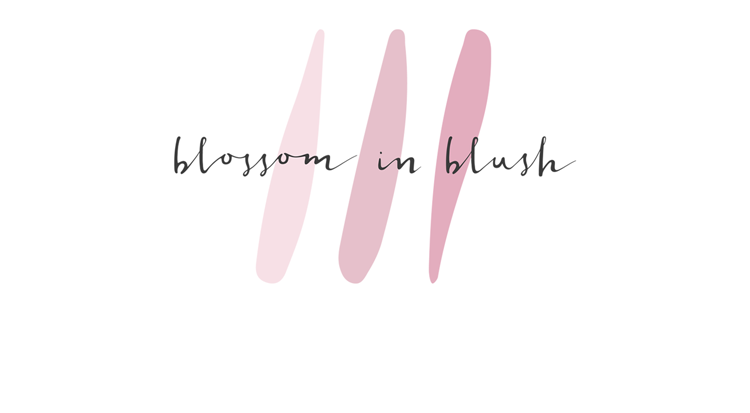 Also, keeping with the soft pinks and subtle powders, Gaiety by Nars is a no brainer go to blush! Ok clearly I'm gonna use my Maybelline Creamy Mattes (review here), but I wanted to show you other lip products I'm SUPA EXCITED about. 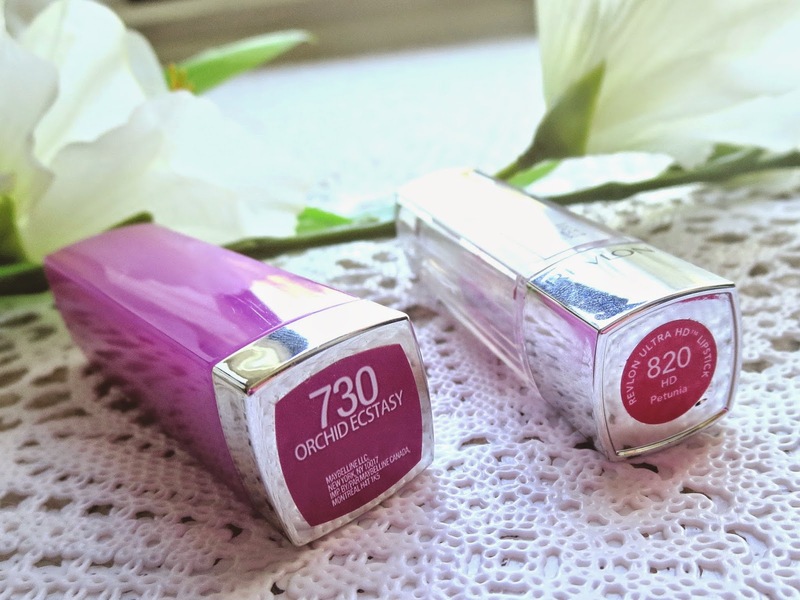 HELLO Maybelline Rebel Bloom in Orchid Ecstasy! Holy crap am I ever obsessed with this color. I picked it up kind of randomly, because honestly it looks scary purple in the tube but it applies as such a beautiful and flattering color. It's just as wearable as a fushia/magenta but with a nice twist. I can't get enough! Maybelline also has new Color Tattoos out for spring. I was instantly drawn to Hibiscus Heartbreaker and have been using it a ton since I got it. it's great shade, sorta lilac but with a bit more pink in it. 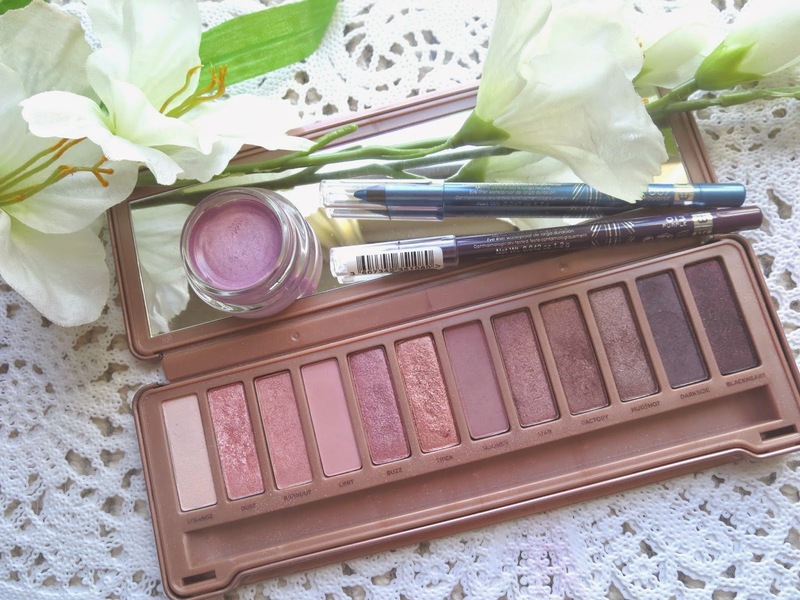 I also tend to pull out my Urban Decay Naked 3 palette. It has a nice range of rose-hued neutrals. I try to ditch the black liner a bit more during the warmer months, just to switch it up. I'm reaaaallly into purple lately. 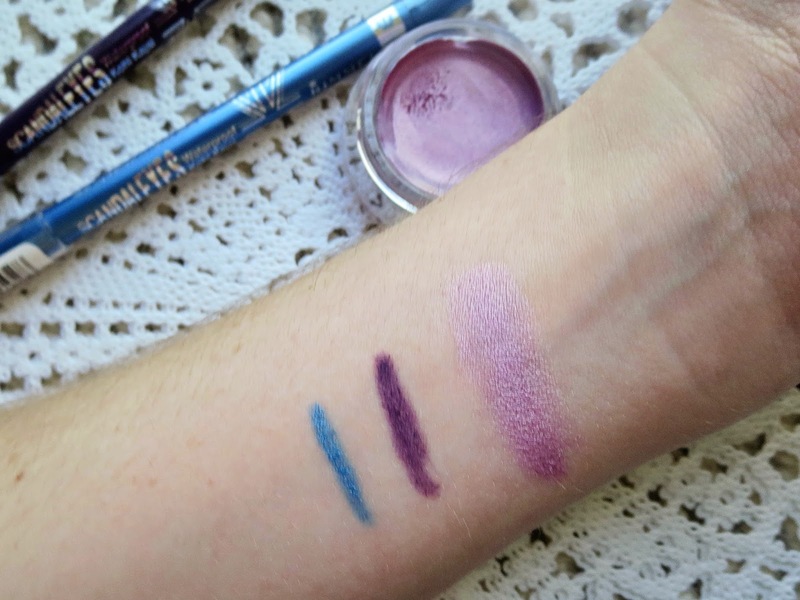 Try the Rimmel Scandaleyes Waterproof Kohl Kajal in Purple or Turquoise! And that's pretty much it! Now you can go and look like a pretty blooming pink flower! I swear this all looks really good on. Not to worry! What are some of your picks?